There is no time to rest as the NBA action keeps on coming. There were some great games on Monday night but if you are looking to make the most of the betting action on Tuesday, there is no shortage of options. The Wizards dealt with the Trail Blazers in Washington, winning by a score of 105-97 and the Celtic were comfortable against the 76ers, winning 108-89 in Boston. The Nets grabbed a big away win in Minnesota, the Brooklyn side downing the Timberwolves by a score of 106-122. The Mavericks won a narrow game against the Thunder; the Dallas fans cheering a 119-115 home win. The Hawks won away from home, defeating the Sacramento Kings by a score of 103-110. The Raptors grabbed a great win in Indiana, 98-117 and the Cavs slipped to a loss in Miami, with the Heat running out 106-92 winners. The Grizzlies defeated the Nuggets by 92-81 in Memphis and the Jazz dealt with the Hornets in a simple manner, winning 94-66 in Utah. The Warriors were narrow home winners over the Los Angeles Lakers, winning by a score of 108-105. When Reggie Jackson made his way to the Detroit Pistons, the team had bounced back from a terrible start to the campaign and has shown some fine form. That seems like a very long time ago with the Pistons enduring a ten game losing streak. Yes, there is a 0-10 record for the Detroit side at the moment and they face a Grizzlies side who have held the upper hand when these two sides meet. The Grizzlies have a 47-20 record which includes a 21-13 record away from home. The Pistons hold a 23-43 record which includes as 12-21 record at home. The Grizzlies have won their last two games including a Monday night win at home to the Nuggets, winning by 92-81. The Grizzlies hold a 6-4 record in their last 10 games. The most recent Pistons defeat in their 10 game losing streak was an 88-85 loss in Utah on Saturday. For average points scored, the Grizzlies have a narrow lead, 98.9 to 97.9 while for average points allowed, the Grizzlies have a 95.3 to 99.9 advantage. The Grizzlies are likely to be without Mike Conley while Marc Gasol and Zach Randolph are being monitored. For the Pistons, Shawne Williams, Andre Drummond and Tayshaun Prince are all slight doubts while Brandon Jennings is a big concern. This should be a game that the Grizzlies take care of, even with a notable negative handicap. Bet Now! The Spurs have found form again after a tricky spell but they may find that their run of form becomes a bigger challenge due to the absence of Manu Ginobili. He may be an NBA veteran but Ginobili is a big influence on this team and he will be missed by the Spurs. However, the team should have more than enough about them to take care of the Knicks in New York. The Spurs hold a 41-24 record going into this game, which includes a road record of 16-16. The Knicks hold a 13-53 record and with an 8-23 record at home, it is easy to see why the Spurs are hotly tipped to win this game. The Spurs won their most recent game, a 123-97 win against the Timberwolves on Sunday and the Knicks have lost their last two games, the most recent defeat coming in Phoenix on Sunday when they were downed 102-89. In their last ten games, the Spurs are 7-3 while the Knicks are 3-7. With respect to average points scored, the Spurs are 102.2 to 92.3 and for average points allowed, the Spurs are 97.8 to 101.3. The Spurs are closely monitoring Manu Ginobili and Aron Baynes while the Knicks are without Carmelo Anthony and have varying degrees of concern over Jose Calderon, Cleanthony Early and Quincy Arcy. 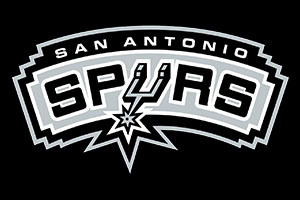 Taking the Spurs with a -12.5 handicap, at odds of 1.90, is likely to be a decent bet for Tuesday. Bet Now! The Rockets have been boosted by some big performances from big players of late and James Harden has shown that he has the ability to be in the mix for the MVP spot. Dwight Howard is an absence that may have derailed the Rockets but Terence Jones has stepped in and kept the team on track. Coming up against a Magic defence that hasn’t been too magic should give the Rockets a chance to grab a decent win in this game. The Magic hold a 21-47 record going into this game which includes a 10-25 record on the road. The Rockets hold a 44-22 record this campaign, which includes a 24-9 record at home. The Magic have lost 4 in a row, their most recent defeat being a Sunday night mauling at the hands of the Cavs, going down 108-123 while the Rockets won their most recent game, beating the Clippers in Los Angeles on Sunday by a narrow 98-100 score line. The Magic are 2-8 in their 10 most recent games while the Rockets are 6-4. For average points scored, the Rockets are 103.0 to 95.8 and for average points allowed, the Rockets edge it 99.9 to 101.6. Willie Green and Evan Fournier are tipped to be absent for Orlando while Dwight Howard is unavailable for the Rockets. 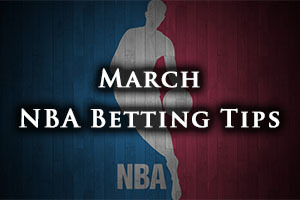 Taking the Rockets with a -11.5 handicap, at odds of 1.90, is likely to be a sound bet for NBA basketball betting fans. Bet Now!